The Signature 16 is a high-performance 12-input small format analogue mixers with onboard effects. 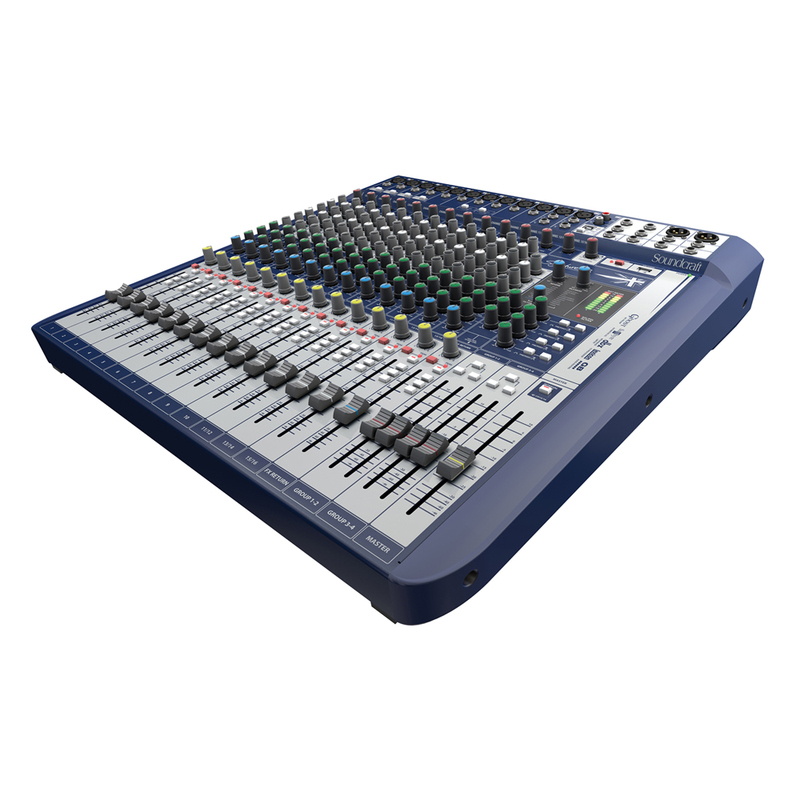 It features smooth, premium-quality faders with GB® Series audio routing with flexible pre/post switching on each Aus, and subgroups with powerful routing and switching options as well as dedicated outputs. 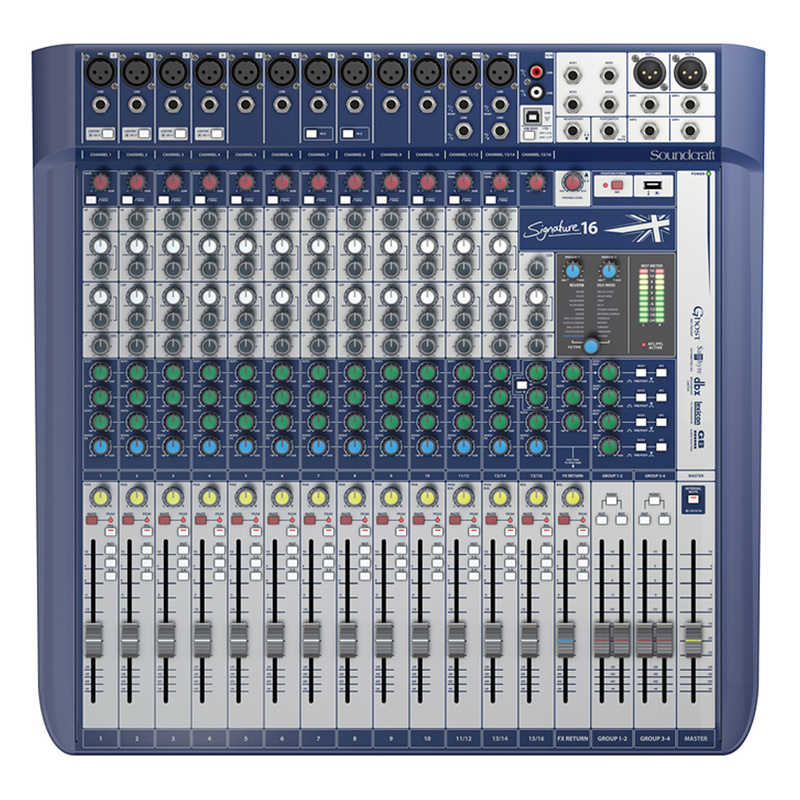 The console is built using tour-grade robust metal construction and top-quality components and have an internal universal power supply.